NEW YORK An appeals court ruled Tuesday that the city's Board of Health exceeded its legal authority and acted unconstitutionally when it tried to put a size limit on soft drinks served in city restaurants. In a unanimous opinion, the four-judge panel of the state Supreme Court Appellate Division said that the health board was acting too much like a legislature when it created the limit, which would have stopped sales of non-diet soda and other sugar-laden beverages in containers bigger than 16 ounces (473 milliliters). 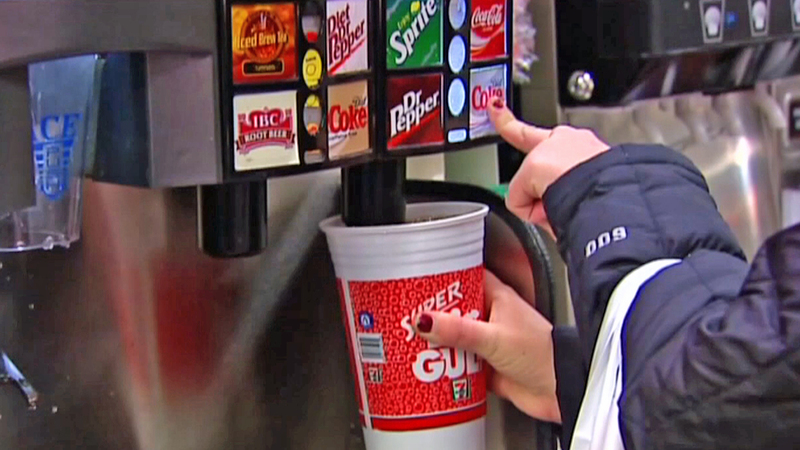 Big soda ban proposed by mayor of Cambridge, Mass. The judges wrote that while the board had the power to ban "inherently harmful" foodstuffs from being served to the public, sweetened beverages didn't fall into that category. They also said the board appeared to have crafted much of the new rules based on political or economic considerations, rather than health concerns. The city's law department promised a quick appeal. "Today's decision is a temporary setback, and we plan to appeal this decision as we continue the fight against the obesity epidemic," Mayor Michael Bloomberg said in a statement. He added that 2,000 New Yorkers have died from the effects of diabetes and studies that showed the deadly health impacts of obesity and Type 2 diabetes. The drinks limit follows other Bloomberg efforts to nudge New Yorkers into better diets. His administration has forced chain restaurants to post calorie counts on menus, barred artificial trans fats from restaurant fare and challenged food manufacturers to use less salt. Bloomberg and city Health Commissioner Thomas Farley saw soft drinks as a sensible next front in a necessary fight: reining in an obesity rate that rose from 18 to 24 percent of adults in the city within a decade. Studies have tied heavy consumption of sugary drinks to weight gain, and the city had to start somewhere, the officials said. "We have a responsibility, as human beings, to do something, to save each other. ... So while other people will wring their hands over the problem of sugary drinks, in New York City, we're doing something about it," Bloomberg said at a news conference after the measure was struck down in March. Critics said the city went too far in imposing a serving size limit. "For the first time, this agency is telling the public how much of a safe and lawful beverage it can drink," Richard Bress, a lawyer for the American Beverage Association and a coalition of other groups that challenged the regulation, told the appeals court at a hearing in June. "This is the government coercing lifestyle decisions." The Association said they are "pleased that the lower court's decision was upheld" and that they look forward "to collaborating with city leaders on solutions that will have a meaningful and lasting impact on the people of New York City," according to CBS New York. Opponents also said the measure's limitations made it meaningless as a health tool but potentially devastating to businesses that would have to deny customers big sodas while neighboring establishments could still supersize them. The regulation would apply in settings ranging from sandwich shops to table-service restaurants to movie theaters, but not in supermarkets or most convenience stores, as those establishments aren't subject to city regulation. The measure also exempted alcoholic drinks and milk-based concoctions, including lattes. The lower court judge, state Supreme Court Justice Milton Tingling, wrote in March that "the loopholes in this rule effectively defeat the stated purpose." He also found that the Bloomberg-appointed Board of Health intruded on the City Council's authority when it imposed the rule. While the city appealed, Bloomberg has continued pushing the cause in other ways. In June, he and the mayors of 15 other cities urged congressional leaders to stop allowing food stamps to be used to buy soda and other sugary drinks, reviving an idea that had been broached for years.